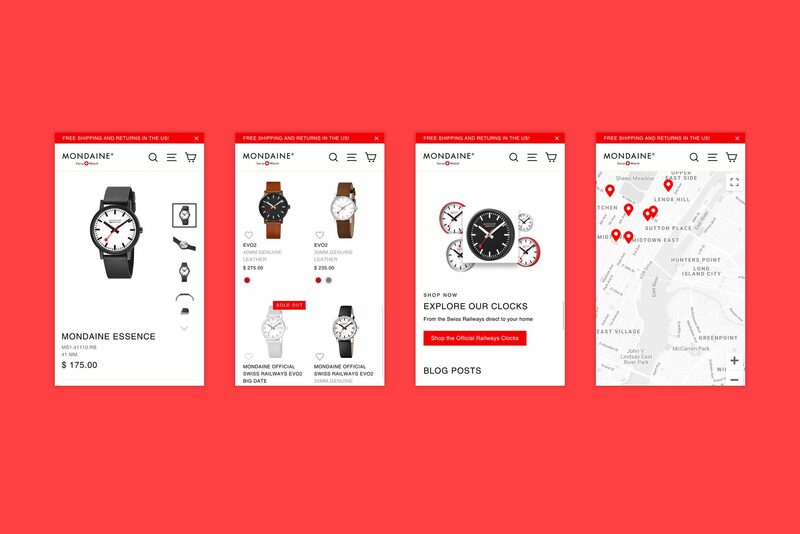 Barrel worked with Mondaine, to launch a new e-commerce experience. The history of the Mondaine brand spans seventy years and is best known for creating the Official Swiss Railways watches. Since its inception, Mondaine has grown its product line to include the Helvetica watch and a variety of timeless and modern watch designs. 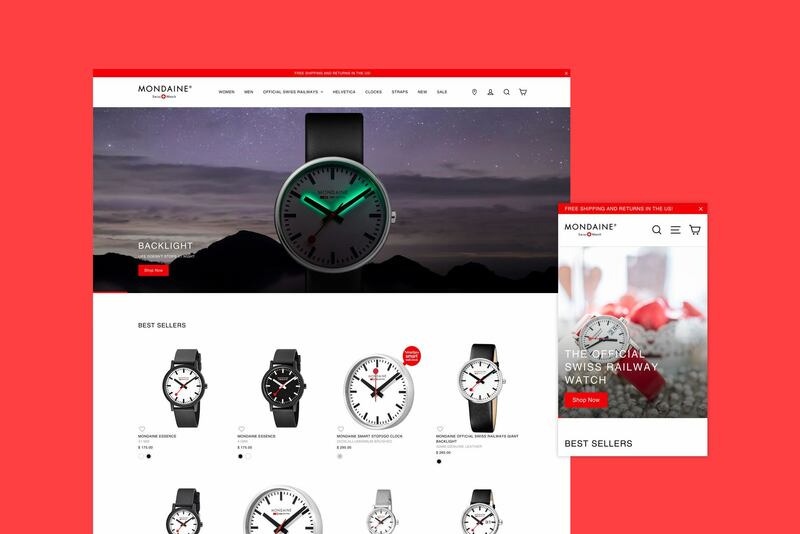 The new site, built on Shopify Plus, combines lifestyle and product content to help the Mondaine team easily merchandise and release new products. 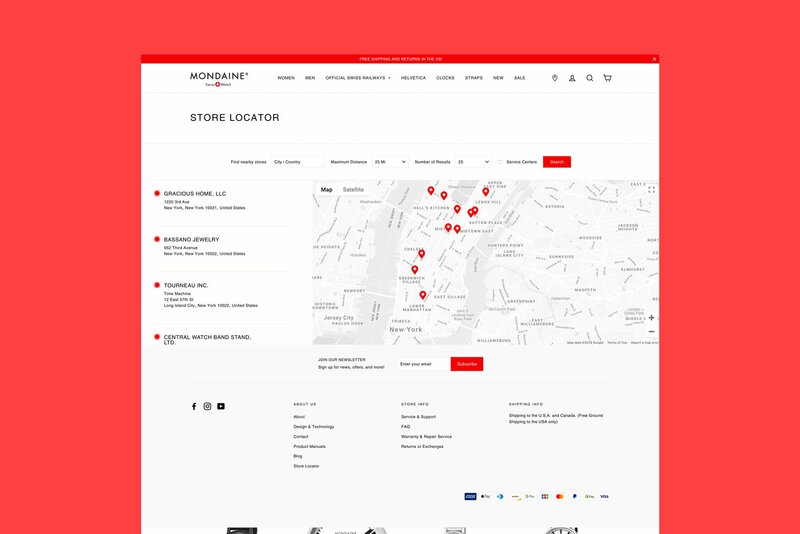 The site is structured to scale internationally – with current efforts to move the e-commerce experience internationally with multi-currency and mulilingual support. For the past 12 years, Barrel has collaborated with numerous e-commerce brands to think strategically about their digital experiences. Barrel’s work with Mondaine adds to the agency’s growing roster of clients on Shopify Plus such as MOSCOT, Hurom, Gitman, Peach & Lily, and Sakara.